A parade of elephants fills this mug with Thai charm. 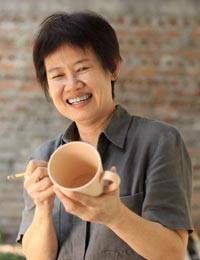 By Duangkamol, the mug is crafted by hand of ceramic with the elephants in low relief. The jade green mug features a crackled glazed finish that distinguishes the millenary art of celadon.